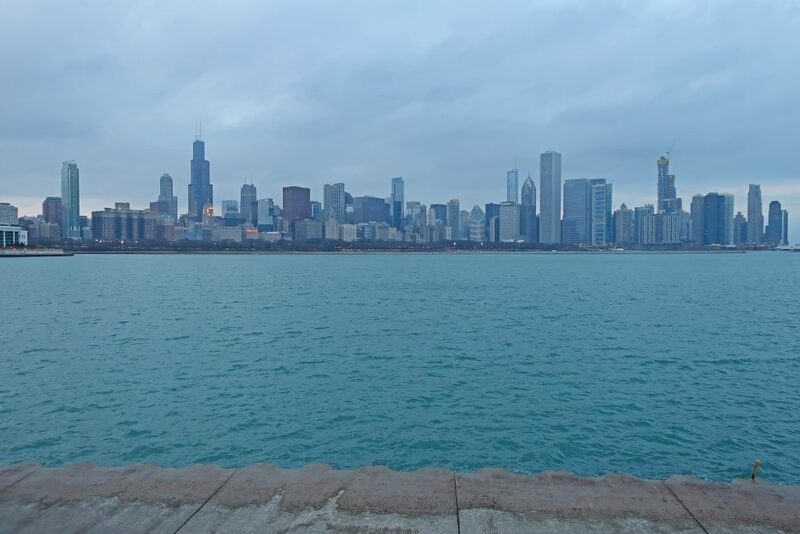 If you’re looking for the best places to take pictures of the Chicago skyline, you’re in the right place! 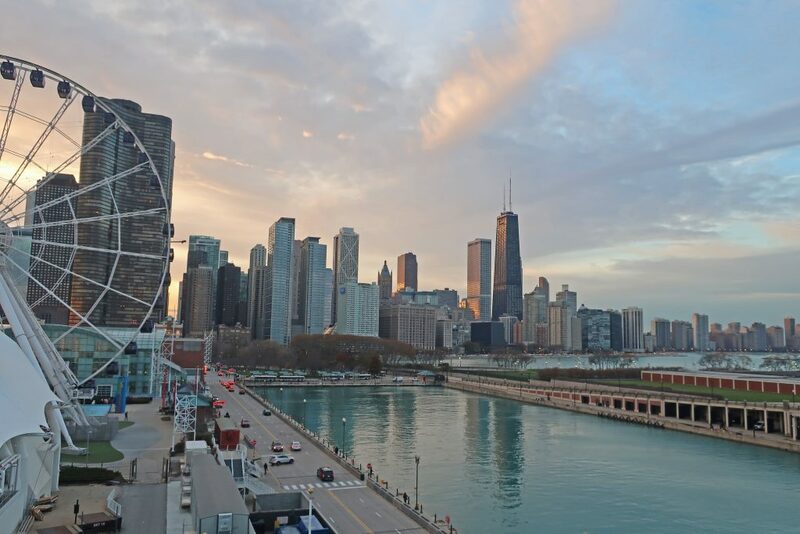 We’ll take you through the best Chicago views you can access for free. Buying a $20 drink is not necessary! These are five of our favorite places to take Chicago Skyline pictures. Also, they’re easy to find! So, put on your comfy Adidas, and walk to one of these Instagram worthy viewpoints. Navy Pier is one of Chicago’s favorite family destinations. The Chicago Children’s museum can be found here. Also, crystal gardens, a movie theater and a Shakespeare theater. In addition to their consistent attractions, Navy Pier hosts an assortment of free and paid events throughout the year. We’ve seen dance performances, art expos and films here. For complete information regarding their upcoming events, visit their website. The Adler Planetarium is one of Chicago’s premier museums. If you look at it on google maps, it seems they’ve rightfully named the bike path around it as “Adler Planetarium Skyline Walk.” It is situated the furthest east of all the other museums on Chicago’s famous Museum Campus Drive. Nearby, you’ll find the Shedd Aquarium, Field Museum and Solider Field. 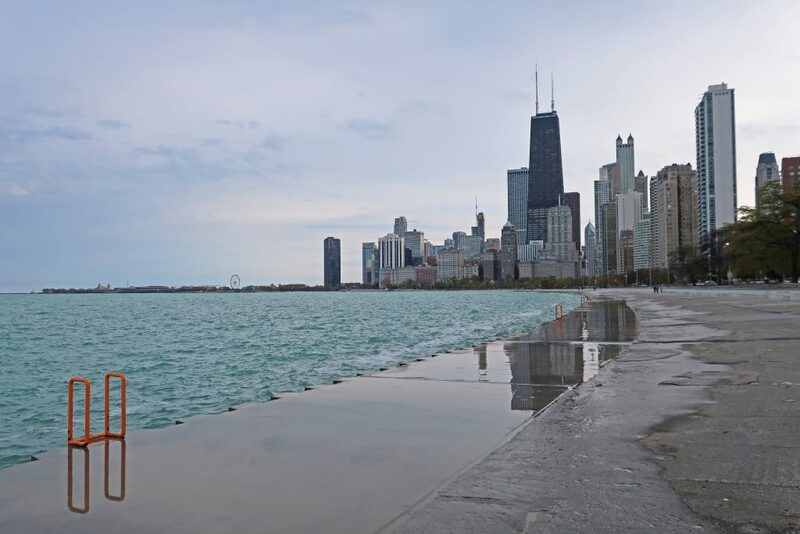 If you’re visiting any of these places, make sure to take time to stroll near the lake shore. 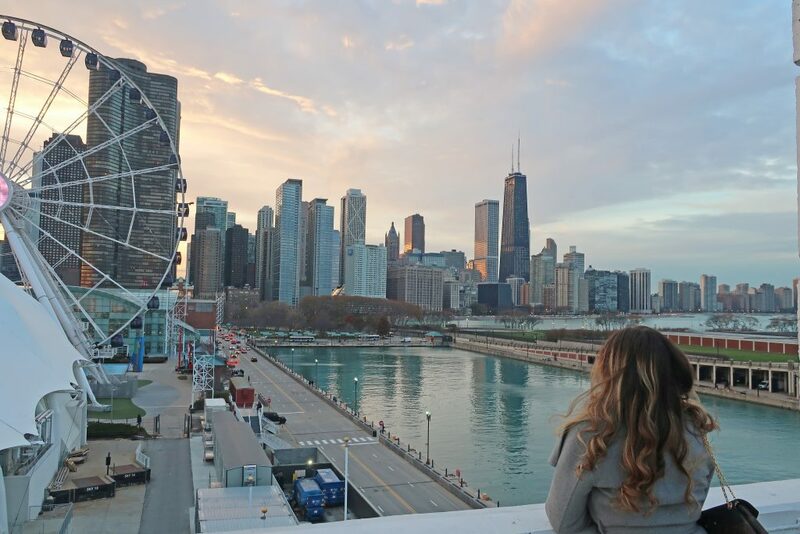 You won’t want to miss the breathtaking skyline views of Chicago near the Adler Planetarium! 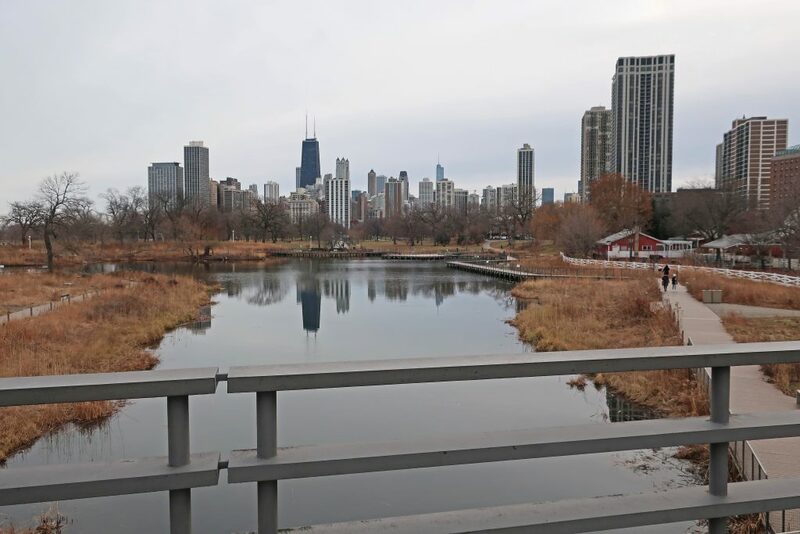 Chicago’s Lincoln Park neighborhood features the city’s beautiful free zoo and an expansive park with gardens, ponds, a lily pool and a nature museum. There are a multitude of activities offered in this park year-round. In the summer, the zoo hosts beer festivals and food truck events. In the wintertime, you can view ZooLights. 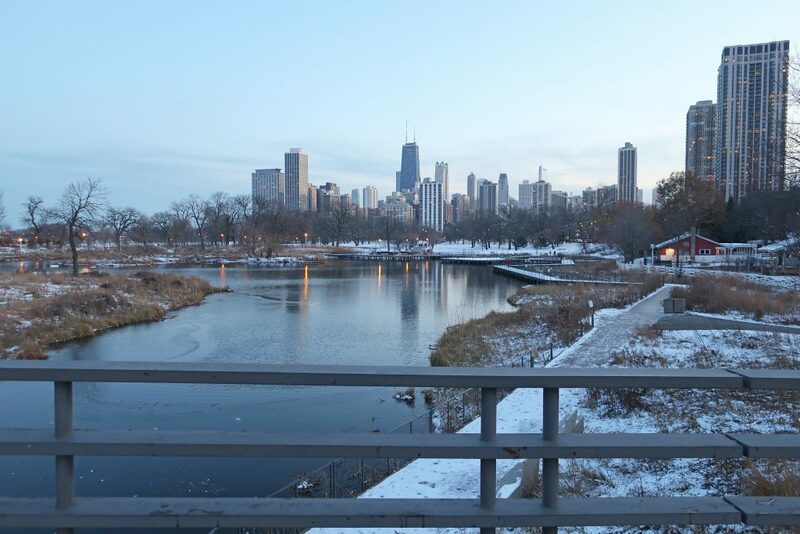 Whatever brings you to the Lincoln Park area, make sure to stop at the Bridge over South Pond for fantastic skyline views. I recommend continuing the path towards the People’s Gas Education Pavilion. Here’s the view from inside the People’s Gas Education Pavilion. I’ve never heard of this name (“BP Pedestrian Bridge”) until recently researching it. 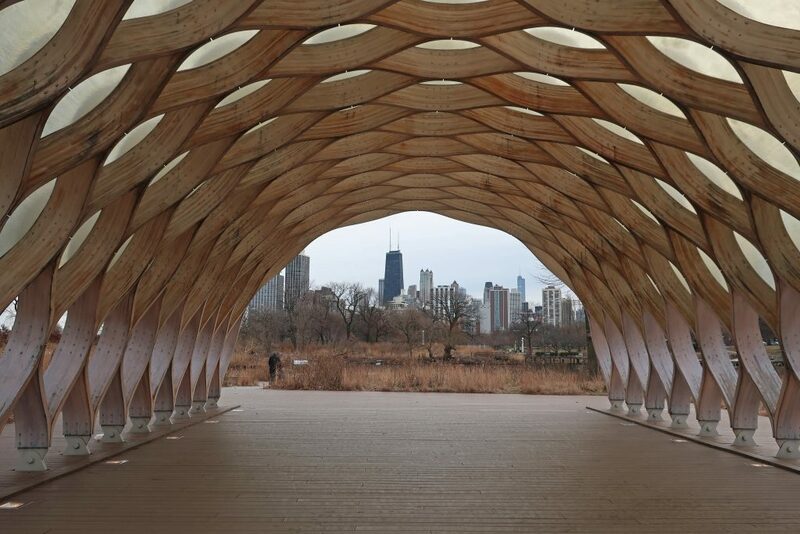 It is more commonly known as the bridge linking Millennium Park to Daley Park. 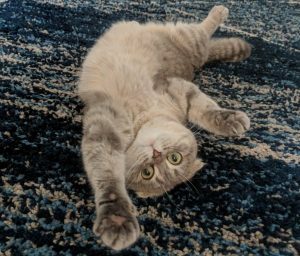 I use the official name here so that you may easily find it. If you’re visiting Chicago, you need to take an afternoon to walk around this area. Millennium Park offers the popular “Bean,” or Cloud Gate, as well as the interesting Crown Fountain, Millennium Monument and the Jay Pritzker Pavilion. During the warmer months, there are seemingly endless free events to enjoy in Chicago’s Millennium Park. Daley Park boasts the famous new Ice-Skating ribbon as well as rock climbing and many playgrounds. 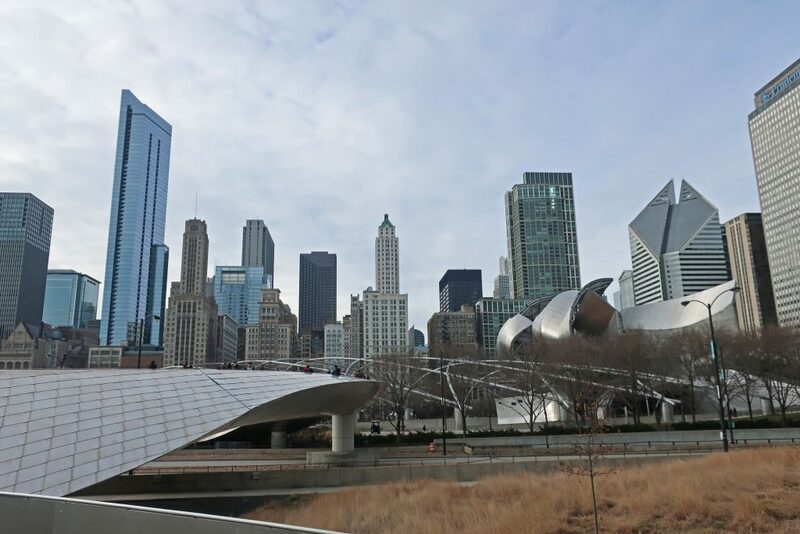 Take the “BP Pedestrian Bridge,” between the two parks, and enjoy amazing Chicago skyline views! The further east you are on the bridge, the better the views. I recommend starting at Oak Street Beach and following the trail northeast to the furthest most point. This would be the southeastern most point of North Avenue Beach. The spot is just south of the North Avenue Beach South Volleyball Courts. You’ll know when you’ve made it! The views of Chicago’s skyline are phenomenal. The Chicago lakefront trails are quite alive in the summer, especially between Oak Street and North Avenue Beach. The trails are full of pedestrians, bikers, joggers and skateboarders. We love roller blading here! These beaches are also great for sunbathing and playing volleyball in the summer months. North Avenue beach caters to a younger, wilder, crowd while Oak Street beach is more mature and relaxed. This is also a great picnic spot. Looking for the best places to eat in Chicago? Check out Where to Eat in Chicago On Any Budget. Cold in Chicago got you down? You’ll want to look at this list of Thing to do in Chicago: Winter Edition. Have an interest in unusual activities? The list of Unique Chicago Experiences may interest you. Want to impress your significant other? Your answer is here: Romantic Date Ideas in Chicago. Think I missed a great free Chicago skyline spot? Please comment below! Love scoping out the best views around a new city! I haven’t been to Chicago since I was young but would love to return! Chicago has such a beautiful skyline AND its for free! 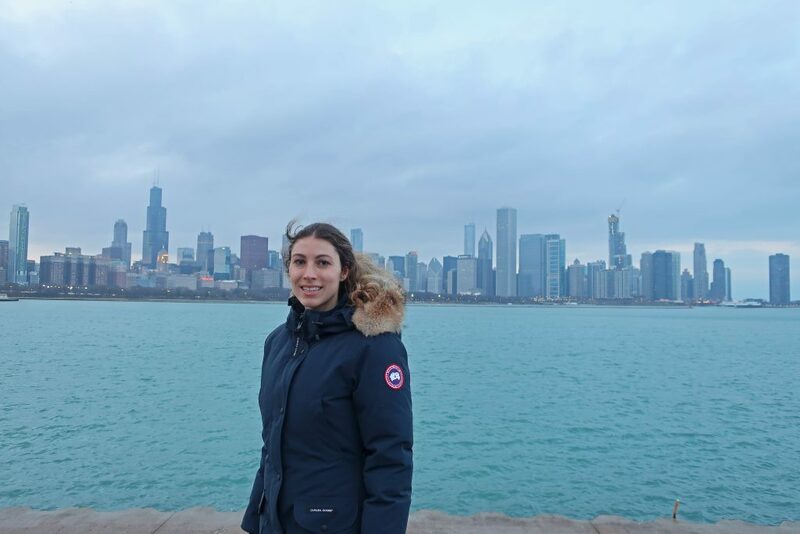 Last time I visited Chicago the wind chill legit stole my breath away I really need to go back! Nowadays, many tourist attractions are starting to double their admission fee costs, which turn-off many tourists. Having a free access like this is a heaven sent! Gorgeous view! Great viewpoints, all of them. They would be amazing for shooting cityscapes at the right time of the day. Wow, I truly love how you were able to capture all the beautiful photos with your detailed post about this spot. 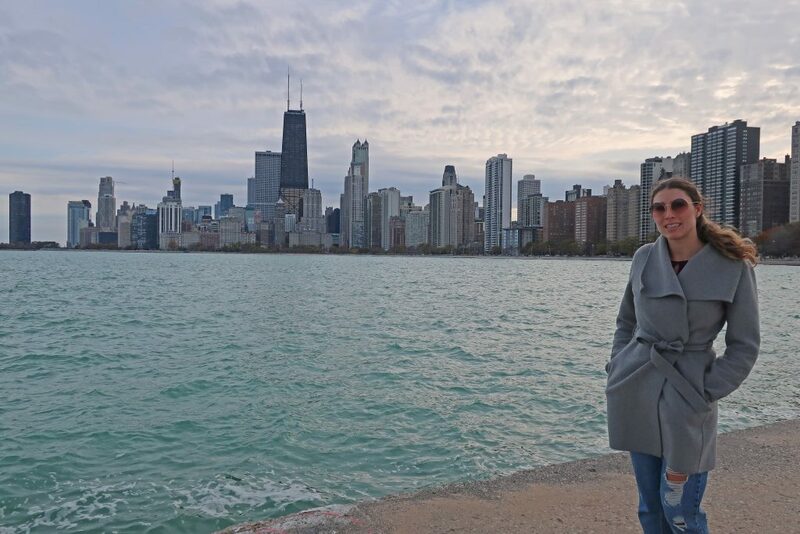 I also love the fact that the Chicago’s Lincoln Park, which features the city’s beautiful free zoo and an expansive park with gardens, ponds, a lily pool and a nature museum has so much to offer that would definitely going to be an awesome experience. Thank you so much for sharing this with us. Never been to Chicago, but I know where to go now if I want to take some good shots. I would love to hang out there with my camera.